I love this time of year, seeds sprouting and best of all being able to start eating what´s growing. 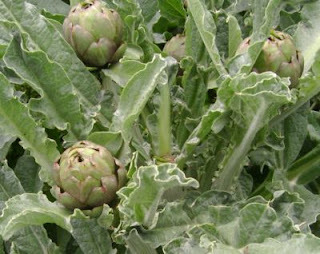 Right now I´m picking salad leaves (seeds from UK), baby spinach, artichokes (actually they´re alcaciles that look like artichokes to me but less spiky I´m told) broad beans or habas as they are in Spanish. I love habas raw straight from the plant or boiled, fried in olive oil with jamon they´re just delicious. In the UK I knew broad beans as a huge tough indigestible bean that I never bought having had enough as a kid. Here they´re sweet, tender and delicious picked and cooked immediately. What else? Well the tomatoes, cucumbers, melons, watermelons, leeks, aubergines, potoatoes, jerusalem artichokes, runner beans, sweet potates and parnips also seeds from UK as I can´t find them here. So do I know what I´m doing? Nah. Just playing but loving it. Hubby made a rotavator so away we went in the garden (that´s too large for non-gardeners turned apprentices) in our holiday home Casa El Reguelo but finally we seem to have it under control and are proud of it. Last year our first trial with potatoes and tomatoes was a huge success, we ate tomatoes three times a day at their peak and then stopped eating them when we had to buy hard flavourless shop bought ones. 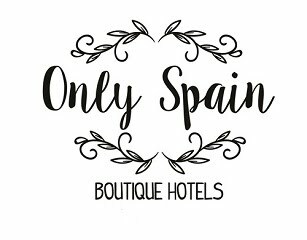 We´ve also a walnut, almond, cherry, pear, pomegranate and nispero tree in the garden and the obigatory few olive trees outside the garden wall. Any visitors to Casa El Reguelo is welcome to pick or dig your own, as well as weeding or not, whatever you fancy.